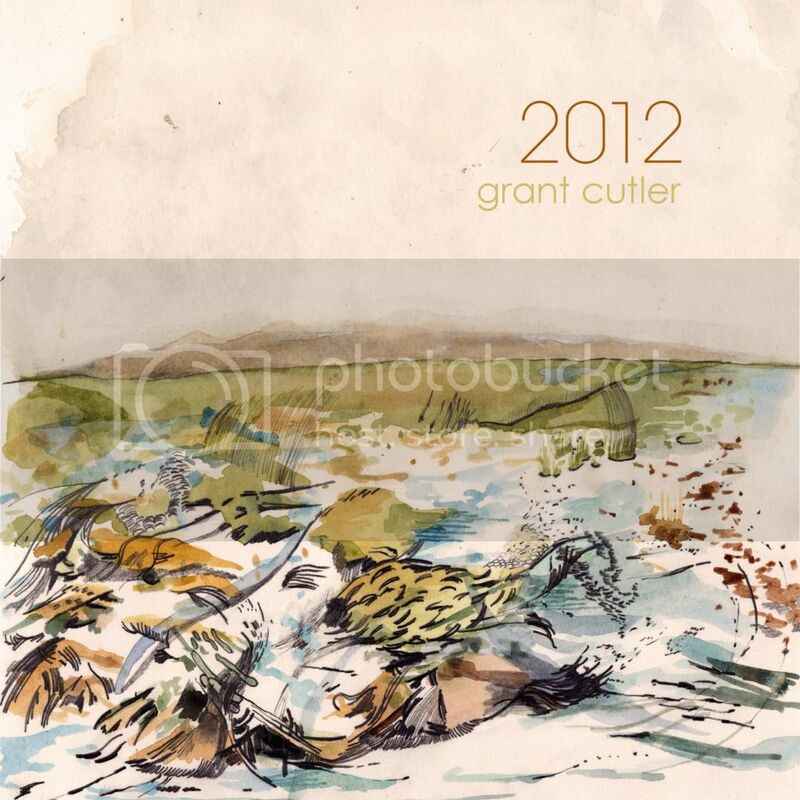 Listening to Grant Cutler's 2012 sounds a lot like drifting above a landscape similar to the one depicted on the creamy paper of the LP cover. An alien landscape, sparse and rocky, bright white light. 2012 was actually recorded in 2008, and is a snapshot of when the composer first moved to Minnesota. He had just moved into a new house, He'd just purchased a Roland JX-3P synth from 1983, and set about layering otherworldly drones onto his grandfather's reel-to-reel tape deck. The warmth and faded quality that the analog equipment gives these recordings make 2012,/i> delightful to the ears, and it gives one a chance to notice the wonderful musicianship at play. Like the sequenced-bass of "Talk To Me," which could sound at home in a Detroit Techno club, if some wise DJ were to drop a beat on top. The trancey-repetitive nature of this music gets inside yr head, inside yr bones, keeps you coming back for. Mesmerizing. 2012is like the soundtrack to the sweetest metaphysical space opera that was never made. a single panning camera-lens over unbroken deserts, the reddish monotony finally interrupted by a pyramid made of glass. There's nothing much going on, until the Makers reveal themselves. With track names like "Devotion," "Attainment," "Mountain Top," its like these Supreme Beings are blaring wisdom telepathically, straight into yr brain. Grant Cutler was studying Zen meditation at the time of this recording, and it shows, songs periodically being swallowed up by unexpected trance-inducing drones. Its like a less-boring meditation record. Honestly, after several visits to 2012's hazy climate, i could say that there is nothing wrong with this record. Its for a certain type, sure, those prone to closed-eye meditations and walking around with headphones on, but for those visionary types, there is a very distinctive world etched onto the two sides of this vinyl.